Daytrippers in Venice who refuse pay the city’s new entry charge will face a fine of up to 450 euros (£385), it has been revealed. 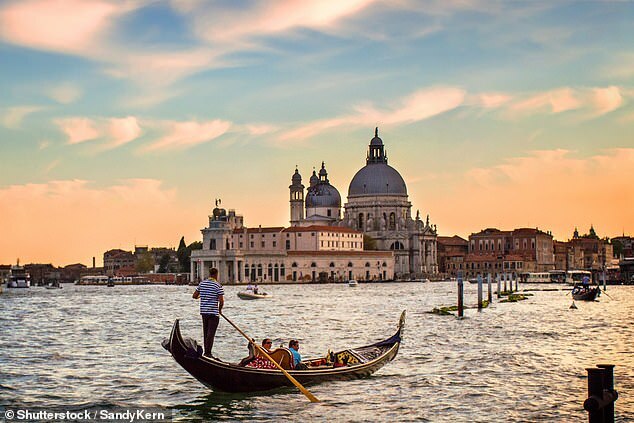 Last night, Venice’s city council approved the visitors tax, aimed at paying for essential services that are more costly to perform in the lagoon city, such as rubbish collection and the cleaning of public areas. 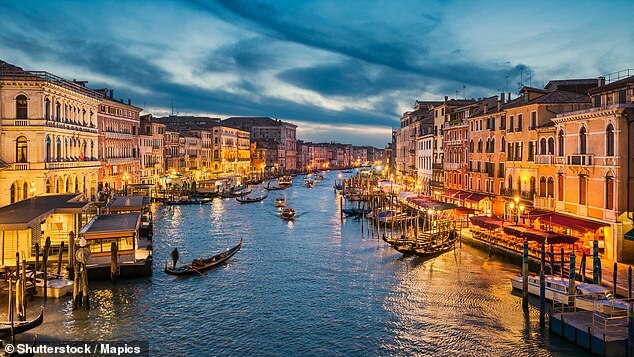 Councillors overwhelmingly endorsed the entrance fee at a meeting, saying visitors would now have to pay three euros (£2.57) each from May to enter Venice. The sum will rise to between six to 10 euros (£5 to £8.50) from the start of 2020, depending on whether tourists come in high or low season. It is not clear how the tax will be enforced, but the heavy fines were confirmed for those who flout the new law. Exemptions include those born, living, working or studying in Venice, children under six and people visiting relatives. Also exempt from the fee will be tourists who spend the night in local hotels, which already apply visitor taxes to their rates. The tax can be paid at transport and tourism agencies. While the head of the northeastern Veneto region, which includes Venice, welcomed the decision, saying it elevated the city to the status of an open-air museum. Venice’s population has declined rapidly in recent decades from roughly 175,000 after World War Two to about 50,000 today. Remaining residents complain bitterly that their city is being overrun by tourists while they have to pick up the bill for cleaning and security. In 2018, officials in Venice also proposed several ways to rid the city of what it calls ‘boorish’ behaviour by visitors. In September plans were announced to ban visitors from sitting on the ground, with fines ranging from 50 to 500 euros (£44 and £443). Later it was then revealed people could be banned from carrying alcohol around the streets. Meanwhile in early 2018, visitor-only routes to popular landmarks were introduced ahead of a holiday weekend to keep tourists away from the locals. The visitor-only routes were put in place for tourists heading to St Mark’s Square and the Rialto Bridge.